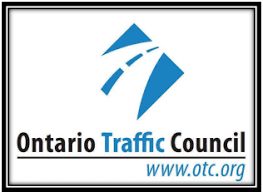 The Ontario Traffic Council will hold their annual Conference & Supplier Showcase on May 5-7 in London, Ontario. Traffic Logix is excited to exhibit our solutions for safer roads at the showcase. Traffic professionals from across Ontario will gather at the two day event. In addition to educational seminars and networking events, the showcase will highlight the latest and greatest products in traffic technology. Traffic Logix solutions for safer roads include driver feedback signs, speed awareness cameras, and recycled rubber products such as speed humps and speed cushions. Cities across Ontario and around the world use our solutions to protect their roads and everyone who uses them. 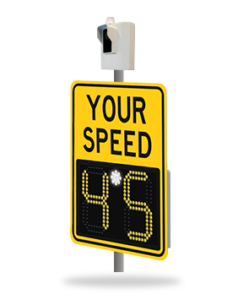 Driver feedback signs are often mounted near or along with speed limit signs. They show driver speed in bright LED digits. The SafePace signs include intuitive features to alert and slow drivers down. Digits, and a strobe light, flash to warn drivers who exceed the speed of your choice. Some models display text as well with messages such as slow down and the option to customize text and graphics. Our signs are portable for use at multiple locations. They are also web-enabled so you can access data and manage settings from anywhere. Traffic Logix Guardian speed awareness cameras capture images of speeding drivers’ license plates. These time-stamped images are automatically sent to drivers on your personalized template. Our camera models are available in single or multi-lane options. They are a powerful tool to penalize speeding drivers and prevent accidents before they happen. Our recycled rubber solutions for safer roads include speed humps, cushions, and tables. We also offer rubber curbing for bike lanes, traffic circles, and road narrowing. You can create just the configuration you want for any street type or speed concern using our flexible, interlocking products. If you live in the Ontario area, we’d love to see you at the OTC Conference. Come see first hand our solutions for safer roads that are helping to protect people on streets around the world. PreviousPrevious post:Is Distracted Driving More Dangerous in Work Zones?NextNext post:What Are You Doing for Your Community NOW?